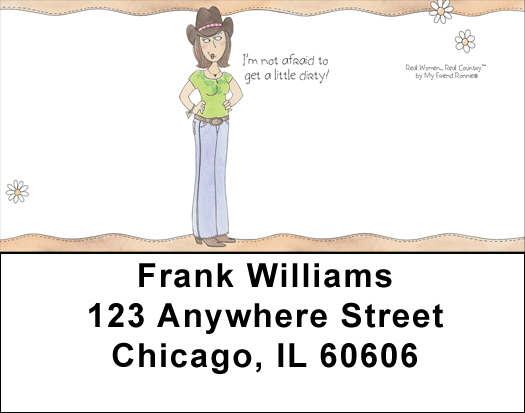 If one of your favorite hobbies is gardening, you will love Garden Address Labels. The four scenes feature women with shovels and vegetables, and also humorous quotes like "Queen of the crop." If one of your favorite hobbies is gardening, you will love Garden Personal Checks. The four scenes feature women with shovels and vegetables, and also humorous quotes like "Queen of the crop." In The Garden Contact Cards offer a handy way for family, friends, classmates and coworkers to stay in touch with you. With up to six lines for your personal information, Contact Cards are sold in sets of 150 and measure 3.5" x 2". You'll benefit from the convenience of our self-adhesive Mod Garden Return Labels. Conveniently bound in books, just like your checkbook, our return address labels are sold in sets of 200 and offer up to 4 lines of personalization.